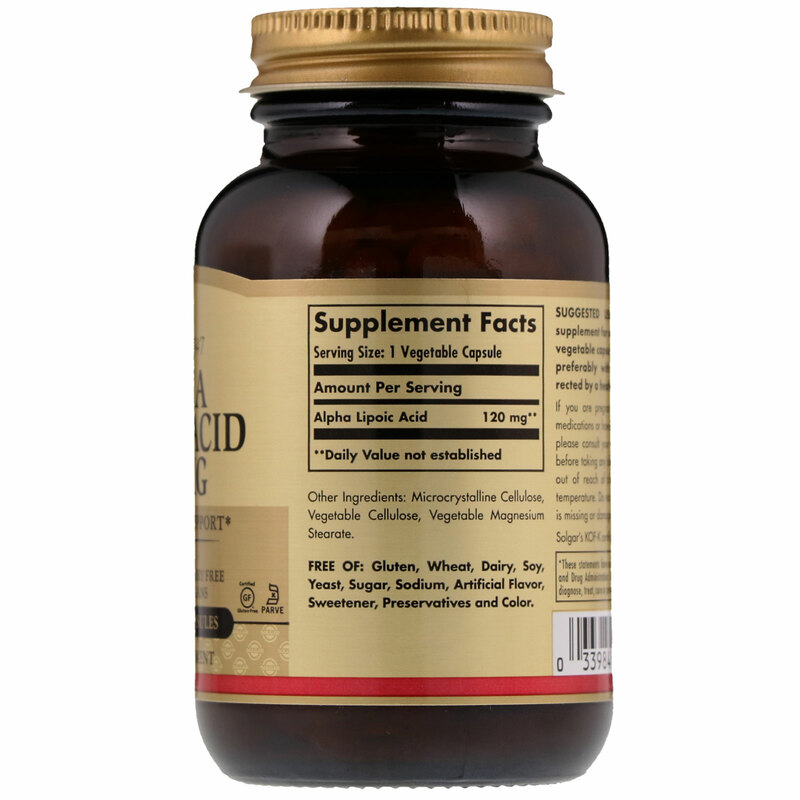 Alpha Lipoic Acid is a coenzyme, and one of the most powerful antioxidants. It is referred to as the universal antioxidant because it is water and fat soluble, enabling it to function in both the membrane and aqueous parts of cells, to help fight cell damaging free radicals in the body. 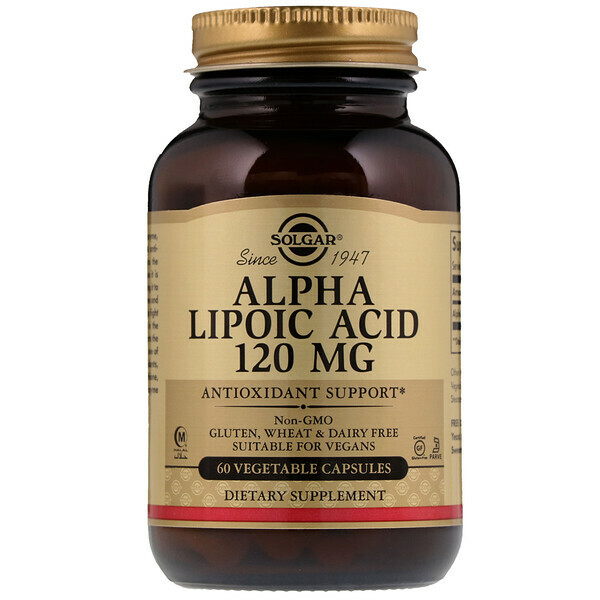 Alpha Lipoic Acid supports the regeneration of glutathione, one of the body's primary antioxidants, and helps to recycle glutathione, Vitamin C and E, and Coenzymes Q10. As a dietary supplement for adults, take one (1) vegetable capsule four times daily, preferably with meals or as directed by a healthcare practitioner. If you are pregnant, nursing, taking any medication or have any medical condition, please consult your healthcare practitioner before taking any dietary supplement. Keep out of reach of children. Store at room temperature. Do not use if outer bottle seal is missing or damaged in any way.